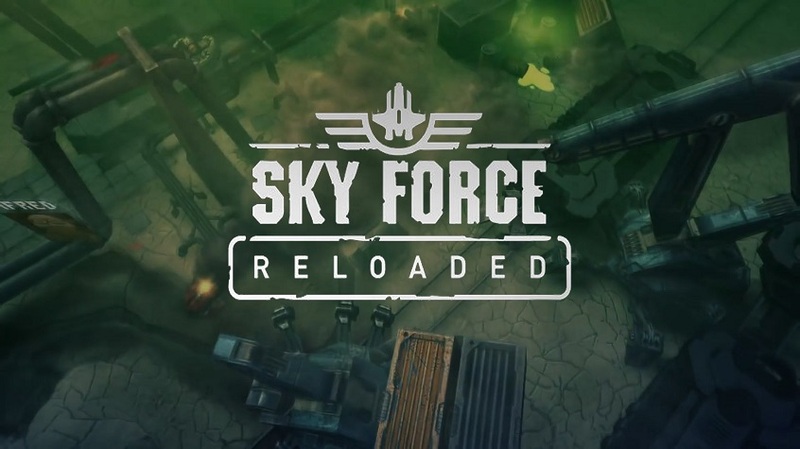 Sky Force Reloaded is the sequel to the highly acclaimed Sky Force, first available as a mobile game and then later released on the Wii U eShop. This awesome, fast-paced, arcade-style shooter is a great addition to the Nintendo Switch eShop. Not only is it a homage to popular retro games like Galaga and Space Invaders, but it’s also packed with plenty of challenges and some really beautiful environments to feast your eyes on. So buckle your seatbelts and charge the lasers, it’s time for take off! 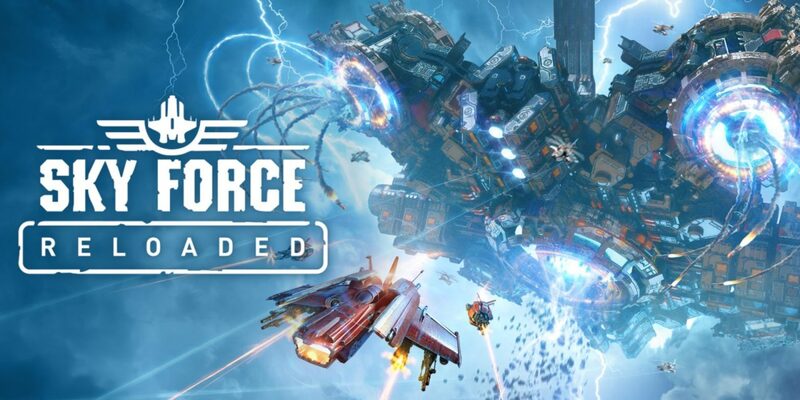 One thing you will want to keep in mind before you buy Sky Force Reloaded, is the difficulty of the game. Who doesn’t love a challenge when it comes to video games, right? Half the fun is overcoming the obstacle and feeling awesome about yourself for a short period of time, until the next feat. However, it took me a looooong time to fully finish the first level of the game. Not the tutorial level, because it’s extremely easy, but the actual first level. See, your ship is destroyed during the tutorial and a big part of the game is trying to acquire enough “stars” to purchase upgrades and get it back in tip-top shape. I had upgraded my lasers and HP numerous times before I made it through the whole level without dying, and just when I thought it was over, here came the boss. This isn’t necessarily a bad thing. A lot of games these days are on the easy side, focusing more on cinematics and action commands. 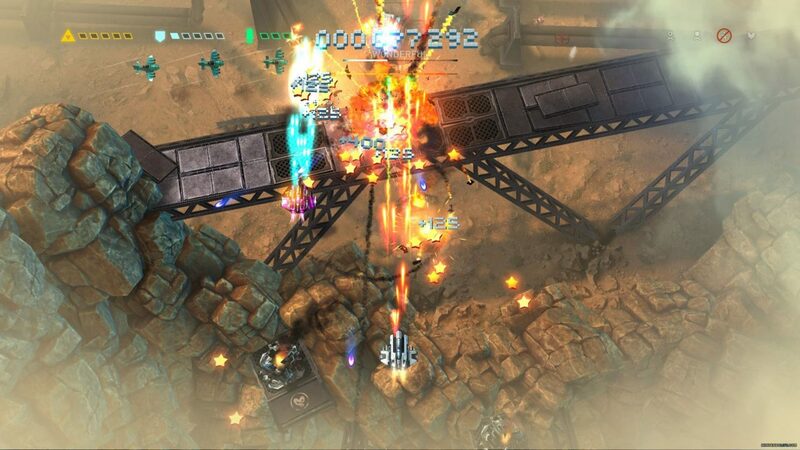 Arcade-style games like Sky Force Reloaded are the perfect way to really test your gaming skills. Not only can you strive for a highscore, but completing each of the challenges in a level will earn you a greater reward. For example, one of the challenges is rescuing all of the humans stranded in that level. When you see a human you simply hover over them for a short period of time (while avoiding the numerous weapons shooting at you of course) and they’ll enter your ship. It’s nice that they added in some small side quests like that. It makes the game more interesting and adds to the replayability. Like I mentioned above, upgrading your ship is the key to progressing. You can power up your laser, increase your health, buy a magnet that will draw in stars, get an energy shield, purchase bombs, etc. However in order to purchase the upgrades you need, you’re going to have to grind! Every time you buy an upgrade the price goes up so going back to previous levels to get the amount of stars you need is almost essential. Though after you complete about half of the game, going back and playing the first levels for quick stars is easy-peasy. Your ship will assumedly be way more awesome than it was your first time around those parts. One of the best parts of this game is taking in the scenery. The developers did a great job of focusing on the environmental details and enemy vehicles. So much so, that it almost gets a little overwhelming at times. But hey, I’m not complaining. It looks really trippy when all of those glowing bullets and lasers are flying around. Another neat feature is being able to play with a friend. This adds to the overall fun of the game and gives you a slight advantage when it comes to defeating more enemies and rescuing humans. Overall, Sky Force Reloaded is a cool little game. The difficulty alone is challenging enough to keep you coming back, and once you get the hang of things there’s an even greater appeal to progress and see how far you can go. I also think Sky Force Reloaded is a great game to just pick up and play, especially on the Nintendo Switch. It looks great docked and in handheld mode. If you’re a fan of retro shooters or have been looking for something to test your skills, I highly recommend checking this one out. 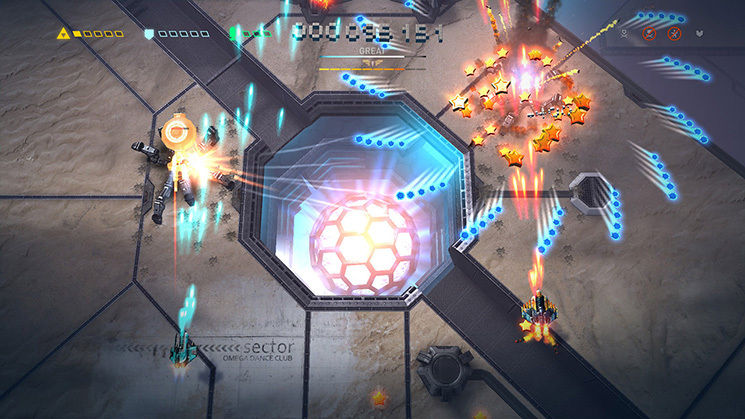 Sky Force Reloaded is available now on the Nintendo Switch eShop for $9.99. 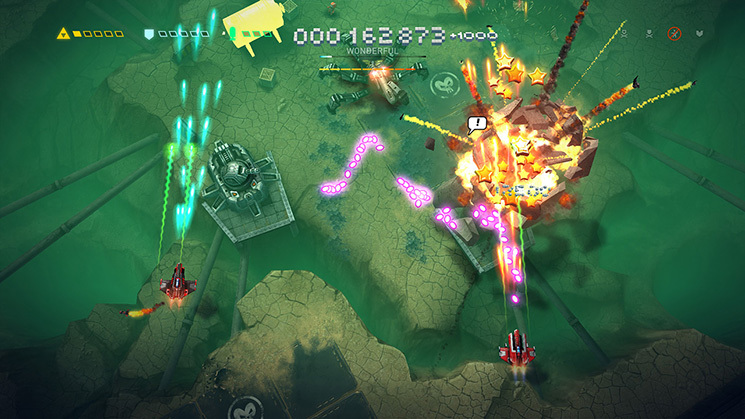 Sky Force Reloaded is a really fun arcade, shooter that looks great on the Nintendo Switch. If you’re looking for a challenge or something to make you feel nostalgic check it out!